Pin Busting has been Nichole's territory so far, but it's time I chimed in. How many times have you seen a pin like this? Or this? On average these pins advise that you throw out nail polish after two years. I even found this list that says a year. One year!? This is a pin I've wanted to tackle for a very long time. There's sense behind throwing other cosmetics out after a certain period, but nail polish is different in a couple of ways. Many cosmetics have ingredients that can can go rancid. When this happens the product will smell, feel, and maybe even look or *gag* taste different or "off". In general this is caused by exposure to air. Nothing in nail polish goes bad like this. Nail polish is basically paint. What happens when it's exposed to air? It hardens. What's left behind is essentially plastic. The biggest concern with cosmetics is bacteria and other pathogens. Something that's formulated to be safe and gentle on your eyes' waterline will also be fairly safe and gentle to germs. If you've ever done your nails with a cut on your finger, you know how un-gentle polish can be. That stuff stings! In some ways germs are hardier than we are. Many can survive a trip to the freezer or even a year and a half in space. In other ways they're much easier to kill. Our bodies are made up of trillions of cells, but each bacterium is just one cell. Damage that and it's a goner. What stings us often kills them. 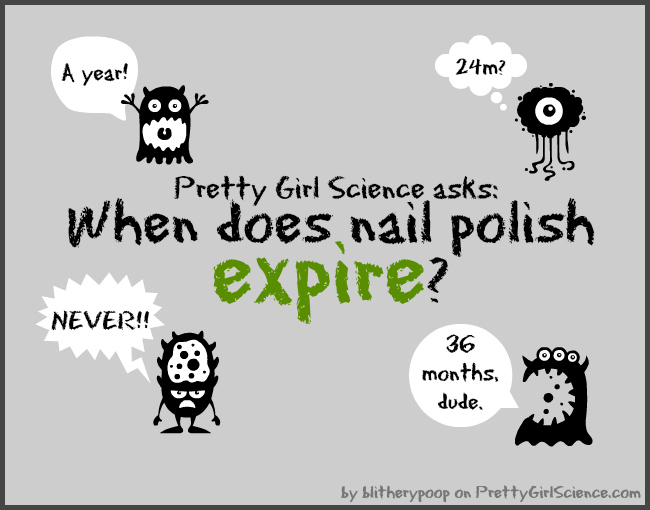 That's the case with iodine, rubbing alcohol, and...nail polish. 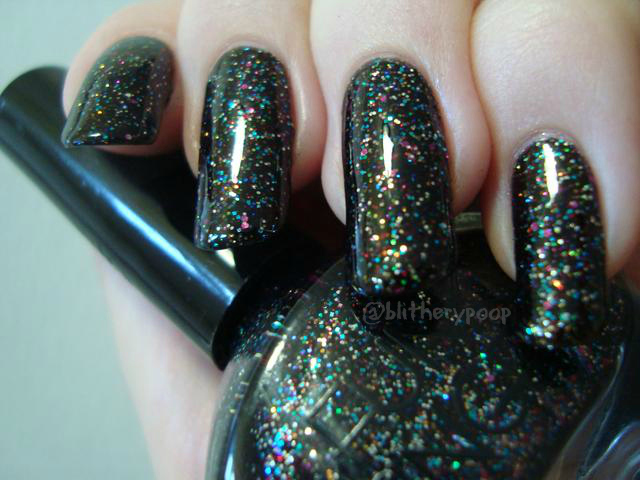 The first two ingredients in most nail polish are ethyl and butyl acetates. They're both used in antimicrobial coatings for some medical devices. I even found a study where ethyl acetate was found to be as lethal to bacteria and fungal spores as two commonly prescribed medications. Many polishes contain isopropyl alcohol. That's the active ingredient in many hand sanitizers, sterilizing wipes, etc. Lab studies have also been done on nail polish itself to prove its safety for use on multiple salon clients. This study and others like it found that germs are killed quickly if they wind up in polish. The possible exception is water-based formulas. When the topic came up on the Nail Board, I did a little ingredient sleuthing. Virtually every water-based brand I checked listed a naturally-derived germ killer. Often it's alcohol, which replaces the acetates in conventional formulas, but some also include something like neem oil for further safety. ...but the best way to bust this pin is to show you guys something old, right? This is Funky Fingers Ledgermain. Don't look at me like that. That's how it's spelled on the label. It's so old that I don't even know. I found it in a bag after I moved. It's at least six years old, but could be considerably older. It's got DBP and toluene in it, which also makes me think it's from quite a while ago. Many brands changed their formulas to remove the "Big 3" in the mid-2000's. At any rate, it's well beyond the 2-3 year "expiration" date. I used it back when I got it, whenever that was. I did need to thin it it with Seche Restore after finding it again, but otherwise it's completely fine. So if polish doesn't spoil and is pretty much germ-proof, where does this idea of it going bad come from? Yuck, right? I've seen way worse. White polish looks especially disgusting when it settles, with yellow liquid at the top and gloppy white pigment below. The solution for settling is the same no matter what the shade. Shake! Shake!! SHAAAAAKE!! Mixed back together and good as new! Just let them sit for maybe ten minutes to give the bubbles time to settle out. Some colors or brands are more prone to settling than others, but gravity has its way with us all, in time...and polish is no exception. The pigments weigh more than the solvents, that's all there is to it. It's fairly rare, but polish can sometimes change color, especially if it's exposed to light for long periods. Storing it somewhere dark can reduce the chances of this. The other source for this myth? European laws. They require product labeling to list an expiration date. That's dandy for cosmetics like lipstick that actually expire, but it's complete B.S. for polish and perpetuates misinformation. Because nail polish doesn't spoil and won't harbor germs, it's just about the only cosmetic you can share with friends or buy used without concern or sanitizing. You can also keep that favorite color forever. Nail polish can outlive you if it's thinned with an acetone-free thinner as needed, stored in the dark, and kept out of high temperatures. I wouldn't collect it otherwise. So how old is your oldest polish? I know I still have a few from the late 90's. Lolol, don't look at you like that :) You can just see the eyebrow lifts, can't ya? ;) I've never bought into this myth and if something goes, it's because I'm not a pack rat... 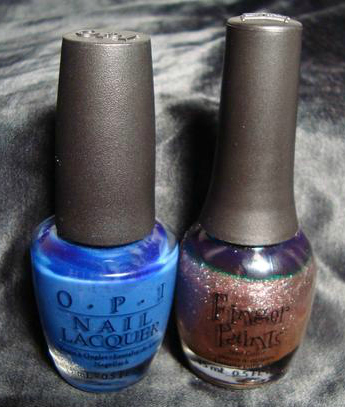 I wish I'd have had the foresight to save my SH original Chrome and my very early 2000's Cover Girl polishes. I have a blue Avon polish that's nearly a legal adult. The bottle says 1997. It still applies perfectly, even if it does smell terrible. yup, i've got ones that i bought in my late teens to early 20s in college that still work just fine (apparently, i liked duochromes even then. wheee!). when i started getting all crazy and building up a collection, i swatched everything and pitched the ones that were beyond restoring (maybe 1/4 of them). there are plenty of things from the mid-90s on my shelves now that were perfectly fine with no thinner necessary! I have maybe 10 polishes that are from 2004-2005. Some are still great and others just need some thinner. Now that I'm into collecting polish, I'm pretty bummed out that I didn't save all the polishes I had during high school and afterwards. 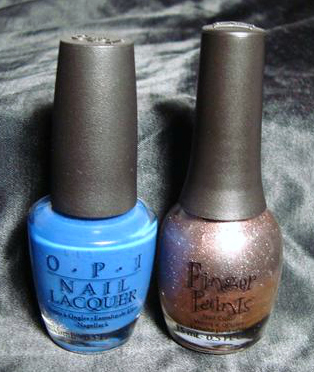 Somewhere around 2008 I threw away a bunch of old polishes (WHY???) and then didn't buy much until 2012 then I've gone CRAZY in the last two years. Lol.